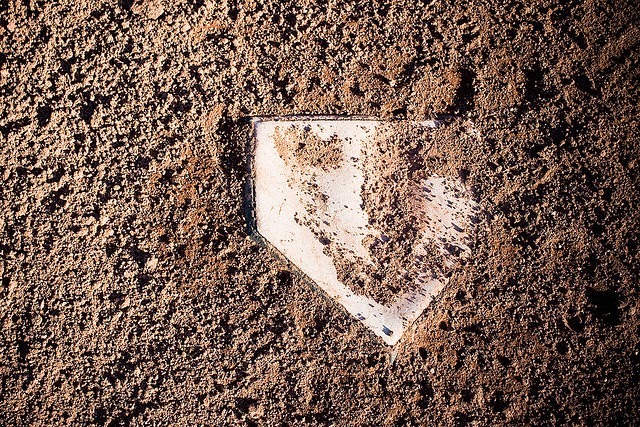 On Baseball & The Reds: Why the Confusion on the New Home Plate Collision Rule? Why the Confusion on the New Home Plate Collision Rule? I was extremely pleased when baseball rolled out their new rules to help eliminate--or at least reduce--home plate collisions. Unlike a lot of Reds fans (from what I gather...), I think Pete Rose was a jerk for laying out Ray Fosse in the 1970 All Star game. I don't like seeing players get hurt out of some ridiculous sense of manly tradition. I'd be glad to see them go. Unfortunately, the implementation of the new rule has had its share of hiccups. The rule has a challenging job, and thus implementation is a challenge. The goal is to keep catchers experiencing unnecessary collisions while simultaneously keeping things fair for the runner. Today, it didn't seem to work very well. C. Trent has a nice piece tonight at the Enquirer talking about the controversial play involving Roger Bernadina trying to score on the Pirates Tony Sanchez today. He does a good job reviewing that play and everyone's reactions to it, so I'll just send you there to read up on it. In short, everyone says they're confused by the ruling today. Is the rule really so confusing? Here's the complete rule 7.13, including the very important "comment" section. A runner attempting to score may not deviate from his direct pathway to the plate in order to initiate contact with the catcher (or other player covering home plate). If, in the judgment of the umpire, a runner attempting to score initiates contact with the catcher (or other player covering home plate) in such a manner, the umpire shall declare the runner out (even if the player covering home plate loses possession of the ball). In such circumstances, the umpire shall call the ball dead, and all other baserunners shall return to the last base touched at the time of the collision. Rule 7.13 comment: The failure by the runner to make an effort to touch the plate, the runner's lowering of the shoulder, or the runner's pushing through with his hands, elbows or arms, would support a determination that the runner deviated from the pathway in order to initiate contact with the catcher in violation of Rule 7.13. If the runner slides into the plate in an appropriate manner, he shall not be adjudged to have violated Rule 7.13. A slide shall be deemed appropriate, in the case of a feet first slide, if the runner's buttocks and legs should hit the ground before contact with the catcher. In the case of a head first slide, a runner shall be deemed to have slid appropriately if his body should hit the ground before contact with the catcher. First, there's the runner. The runner cannot initiate contact with the catcher, and is explicitly forbidden from lowering his shoulder, pushing with his hands, etc. If, however, he slides for the bag (i.e. not a take-out slide), he's doing it right. Second, there's the catcher. The catcher is required to leave a path for the runner to score unless they have the ball. The one exception is that the catcher has a right to receive a throw, even if that takes them into the path of the runner. So, the catcher can't set up in front of the plate, but if the throw brings him into the baserunner's path (as a good throw sometimes will), he has the right to move into the path as you catch the ball. There's unquestionably going to be some subjectivity when it comes to applying the rule, especially when it comes to that exception for fielding a throw. But if the events were as Bernadina and Price (and even Sanchez!) report, and Tony Sanchez did indeed have his body in the basepath throughout the entire play, and not just when trying to catch the ball, then Bernadina should have been called safe. The rule seems clear as day on this. The same situation arose in Toronto in a game vs. the Yankees, and Josh Thole sorta-kinda was in front of the plate as Francisco Cervilli slid. The difference to me, however, was that Thole was a) standing (there was still a path to the plate) and b) moving away from the plate and into the path of the baserunner to intercept the throw as the ball came in. It's a judgement call, but to me, it looks like a fair play by Thole. As the photo from today's game that C. Trent posted indicates, however, Sanchez was already crouching in front of home plate before he received the ball. When I watch the replays of that play, it again appears to me that Sanchez was set up, crouched, and in the path of the baserunner before he could reasonably said to be going after the throw from Jordy Mercer. Admittedly, though, because none of the cameras, are focused on Sanchez the entire time, it is hard to be completely certain. Here's the thing: this is exactly the situation that often would result in a home plate collision in the past. Yes, the throw absolutely beat him to the plate. But a year ago, Bernadina would have been expected to lay Tony Sanchez out in that situation. That play is what the rule is designed to prevent. Here, Bernadina did what he was supposed to do: slide. But Sanchez did not adhere to his responsibilities under this rule. He blocked the plate before receiving the ball. For this rule to work--and I really think it needs to work--it needs to be enforced evenly. Therefore, I don't think the problem is with the rule. This is an important rule. We need to protect catchers from unnecessary violence on the field. But, at the same time, we need to protect the rights of the runner to not be blocked from home plate, in exactly the same way that they cannot be blocked from other other bases when fielders do not have the ball. The problem today was not the rule. It was that the rule was not enforced. How much has the Reds' slow start cost them?